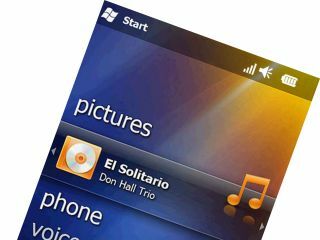 Microsoft is set to release a new 'second edition' of Windows Mobile 6.5 with a number of improvements to the overall user interface on the mobile OS. In addition to an improved on-screen keyboard there will also be a number of improvements that will make the operating system work better and play nicer with capacitive touchscreens on certain smartphones. Clickable buttons from the top bar have been removed and replaced with a larger bar at the bottom of the screen, which should cause less fiddling around for those larger-fingered gentlemen (and ladies). No word yet as to when the new updates will arrive for consumers, as this is still an early build of Microsoft's new mobile OS. For now though, if you are rocking WinMo on your phone, you might want to check out our recent guide to the 15 best free WinMo apps.